The children of Israel left slavery in Egypt with the promise of freedom in their own land. But if they were able to think much beyond the circumstances of their escape, they were brought up short by the wilderness life that soon enveloped them. A journey that should have taken about 11 days from Sinai was to end up lasting almost four decades. The reason will become clear as we continue the account in the books of Leviticus and Numbers. The book of Exodus tells us that having miraculously crossed an otherwise impassable body of water—in which their Egyptian pursuers drowned—the children of Israel soon complained about lack of food and drinkable water. Delivered more than once from these crises by God’s miraculous intervention, and having received the laws by which their society would function, their immediate task was to build the tent or tabernacle where God had said He would be among them. Eventually, after much work in a difficult environment, “it came to pass in the first month of the second year, on the first day of the month, that the tabernacle was raised up” (Exodus 40:17). Almost a year had passed since the Exodus. The book of Leviticus is named in English after the tribe of Levi, the family from which the priestly subclan arose. In Hebrew it is Va-yikra’ (“And He called”), from the reference in the first verse to God requesting Moses to meet with Him. The book sets out the requirements for God’s people to live lives of devotion to Him and His ways. This is defined by rules governing all aspects of life and worship, including offerings, the priesthood, the tabernacle, foods, hygiene, societal and sexual interaction, holy days, land rest and ownership, debt forgiveness, provision for the poor, and care of servants. A remarkable and broad-ranging code of conduct, it was intended to direct a theocratic society—one governed by God Himself. In a number of ways its level of enlightened concern for the individual goes beyond today’s social and economic orders. The code even included return of land and property to the indebted once every 50 years, as well as laws governing restitution of individual freedom—provisions that no society offers today. If the children of Israel and their descendants chose not to follow these laws, they would suffer the consequences of disobedience and the removal of God’s blessings until they acknowledged their error and changed their ways (Leviticus 26). The code was intended as a model for other societies, which Moses would make clear when he repeated the rules as the people prepared to enter the Promised Land: “Be careful to observe them; for this is your wisdom and your understanding in the sight of the peoples who will hear all these statutes, and say, ‘Surely this great nation is a wise and understanding people’” (Deuteronomy 4:6). Even now, long after the theocracy of Israel ended, the rules yield positive results when followed by individuals, because they are universal in intent. The English-language title of the book of Numbers centers on the two census-takings mentioned at either end of the book and separated by nearly 40 years. In Hebrew the title Va-yedabber (“And He said”) refers to God speaking to Moses in the book’s opening verse. This was at the beginning of the second month of the second year after leaving Egypt. The book is more generally known in Jewish literature as Bemidbar, from the word used in the same verse and meaning “In the wilderness.” Numbers chronicles the life of the Israelites over the four decades of wandering amidst scant vegetation before they entered their new land. The book comprises three sections: the first (Numbers 1:1–10:10) covers just 19 days as the Exodus generation is numbered and organized to depart the Mount Sinai region; part two (10:11–22:1) spans the next 38 years of their wandering; in the third section (22:2–36:13), the Israelites camp and are numbered a second time on the plains of Moab in preparation for entering the land of Canaan. The earlier listing of Israel’s men 20 years and older by tribe (Numbers 1:46) produced a total identical to that given as they left Egypt: 603,550 (see Exodus 38:26). This means that initially 2–3 million people lived as the community of Israel in the wilderness. The number of men according to the second census 38 years later had diminished by less than two thousand (Numbers 26:51). These adult males comprised the army of Israel in the event of war. Excepted from this census was the tribe of Levi, since their role was the protection and care of the tabernacle (1:47–53), both when encamped and as the Israelites traveled. The 12 tribes were arranged in orderly fashion around the tabernacle according to their order of travel (see Numbers 2). Grouped at the four compass points, they traveled as God led them. He did this by setting a cloud over the tabernacle by day and night when they were to remain encamped, and removing it anytime they were to travel. “Whether it was two days, a month, or a year that the cloud remained above the tabernacle, the children of Israel would remain encamped and not journey; but when it was taken up, they would journey” (9:22; see also 10:14–28). Two numberings of the male Levites were taken separately. The first counted those from one month old upward (3:15) and determined their numbers and clans and the kind of service they would provide. Not all Levites were priests; this role was reserved for one branch of the tribe through Aaron, whom the other Levites would assist in the work of serving the people (3:1–9; 8:19). A particular priestly function was to request a blessing on Israel from time to time: “The Lord bless you and keep you; the LORD make His face shine upon you, and be gracious to you; the Lord lift up His countenance upon you, and give you peace” (6:24–26). A second numbering of Levites between ages 30 and 50 provided the workforce for transporting the tabernacle and its contents on Israel’s travels (4:1–49). Under God’s guidance, the children of Israel left Sinai behind near the end of the second month in the second year after leaving Egypt. Their next extended encampment would be in the Wilderness of Paran (10:11–13), but first they would experience ordeals brought on by complaining once more against God. After traveling for three days, the people began to grumble. At Taberah (“burning”), fire from God broke out on the edges of the camp, but as a result of Moses’ appeal to God, the fire was extinguished. Yet the complaining continued. The “mixed multitude” of non-Israelites that had come up with them from Egypt craved the foods that were no longer available, and soon their attitude rubbed off on the Israelites: “We remember the fish which we ate freely in Egypt, the cucumbers, the melons, the leeks, the onions, and the garlic” (11:5). After all, they were limited to “just” the miraculous food (manna) that had been provided regularly. Their display of ingratitude angered God and discouraged Moses to the point of wanting to give up (verse 15). Now God provided so much meat, by way of quail flying in from the direction of the sea, that the Israelites stayed up day and night collecting it. But as soon as they started gorging themselves, some of those who had complained and craved meat found it loathsome and were struck down by a plague (verses 31–34; see also Psalm 78:26–31). As a result, the place was named Kibroth-hattaavah (“Graves of Craving”). At the next stopping place, Hazeroth, Aaron and his sister, Miriam, succumbed to a critical and prideful attitude toward Moses. Yet Moses remained humble and did not try to defend himself. They said, “Has the Lord indeed spoken only through Moses? Has He not spoken through us also?” (Numbers 12:2). Moses’ siblings found reason to criticize their brother because of his Ethiopian wife and his authority. What becomes clear is that if Moses was wrong to have such a wife, there is no indication of it here on God’s part. Rather, the attitude of Aaron and particularly of Miriam against God’s servant angered Him to the extent that Miriam was afflicted with a skin disease and set outside the camp for seven days. Only after the week passed could the Israelites break camp and move to a more permanent site at Kadesh in Paran. This surely gave everyone pause to consider the danger inherent in criticism and haughtiness against God’s servant. At God’s command, Moses sent representatives from the tribes to spy out the Promised Land. After 40 days they returned to Kadesh with grapes, pomegranates and figs—evidence of the land’s productivity (13:17–26). Most of the spies became negative about the land, however, reporting on the inhabitants as strong and of great stature, their cities large and well fortified. Only two spies, Caleb and Joshua, were confident that the Israelites should proceed because God would be with them. The negative report prevailed, and the people sank into complaining once more, this time against Moses, Aaron and God. They even suggested appointing a new leader to take them back to Egypt, grumbling, “If only we had died in the land of Egypt! Or if only we had died in this wilderness! Why has the Lord brought us to this land to fall by the sword, that our wives and children should become victims? Would it not be better for us to return to Egypt?” (14:2–3). Caleb and Joshua spoke up for faith in God and reliance on Him to deliver the land He had promised. They appealed, “Do not rebel against the Lord, nor fear the people of the land, for they are our bread; their protection has departed from them, and the Lord is with us. Do not fear them.” This only brought on the congregation’s antagonistic urge to stone them (verses 9–10). At that point God made His presence known in the tabernacle, pronouncing that He would have nothing further to do with the Israelites and would create a new nation from Moses. Moses pleaded with God for the Israelites, and God relented, saying that He would simply not allow that generation (20 years old and above) to enter the land. Rather they would die in the wilderness, and their children would inherit “[the] land which flows with milk and honey” (verse 9). Caleb and Joshua would be spared and, along with the new generation, enter the land after 40 years had passed: “According to the number of the days in which you spied out the land, forty days, for each day you shall bear your guilt one year, namely forty years, and you shall know My rejection” (verse 34). Even then, some of the rebels presumed to go up and immediately enter the land, acknowledging their sin but rejecting God’s decision. As a result, “the Amalekites and the Canaanites who dwelt in that mountain came down and attacked them, and drove them back as far as Hormah” (verse 45). Another very serious attack on the leadership that God had established—and so on God Himself—also came from within the tribe of Levi, aided and abetted by some from the tribe of Reuben. This time Korah, helped by Dathan, Abiram and 250 leading men, conspired against Moses and Aaron (16:1–2). The accusation voiced against the two brothers was that “you take too much upon yourselves, for all the congregation is holy, every one of them. . . . Why then do you exalt yourselves above the assembly of the Lord?” (verse 3). It’s clear that the Levites implicated here were not content with the significant roles they had been given and that they wanted preeminence. As Moses said to them, “Are you seeking the priesthood also?” Their viewpoint was, of course, based on envy and jealousy of Moses and Aaron. What happened next was a showdown in which God made it clear that rebellion would not be countenanced among His people. Summoning the rebels to a meeting the next day at the door of the tabernacle, Moses said that they should bring censers filled with fire for burning incense. There God would decide between them and Aaron’s lineage. The ground opened up beneath Korah, Dathan, Abiram and their families, and they were no more; fire devoured the 250 chiefs who had supported them—again, a terrible outcome and a dire warning to those who would behave presumptuously within the ordered structure God had put in place for the Israelites’ benefit (verses 31–35). Surely this tragic conclusion would put an end to the complaining. But “on the next day all the congregation of the children of Israel complained against Moses and Aaron, saying, ‘You have killed the people of the Lord’” (verse 41). The people lacked the discernment to see the error in the rebels’ action and reasoning. To make it clear that there was a strict division of service between priests and other Levites, God asked the 12 tribes to bring a rod to lay before Him. Levi’s rod was to come from the house of Aaron. The following day, Aaron’s rod alone had budded and produced blossoms and almonds, showing God’s choice of his lineage for the priesthood. “And the Lord said to Moses, ‘Bring Aaron’s rod back before the Testimony, to be kept as a sign against the rebels, that you may put their complaints away from Me, lest they die’” (17:10). Aaron’s rod was to be kept as a strong reminder of God’s choice of his household as Israel’s priests. Somewhere close to the time the children of Israel entered their new land, it became clear that Moses, Aaron and Miriam would not be among them. Miriam died and was buried at Kadesh (20:1). Soon after, Moses and Aaron faced another incident of rebellion brought on by the Israelites’ demand for water. Now they, too, made a tragic mistake. Instructed by God to strike a rock so that water would flow, Moses said angrily: “Hear now, you rebels! Must we bring water for you out of this rock?” (verse 10). Because he claimed that he and Aaron were performing the miracle (“must we”), he forfeited any possibility of either man entering the land. God said to them, “Because you did not believe Me, to hallow Me in the eyes of the children of Israel, therefore you shall not bring this assembly into the land which I have given them” (verse 12). Their sin, for which both would die, is further described as defiance against God. Just before Aaron’s death at Mount Hor in the 40th year after the Exodus (Numbers 33:38), God said, “Aaron shall be gathered to his people, for he shall not enter the land which I have given to the children of Israel, because you rebelled against My word at the water of Meribah [or “contention”]” (20:24). When it came time for Moses to die, God explained once more: “You trespassed against Me among the children of Israel at the waters of Meribah Kadesh, in the Wilderness of Zin, because you did not hallow Me in the midst of the children of Israel” (Deuteronomy 32:51). The book of Psalms mentions this incident in terms of the responsibility the Israelites themselves bore in Moses’ sin: “They angered Him also at the waters of strife, so that it went ill with Moses on account of them; because they rebelled against His Spirit, so that he spoke rashly with his lips” (Psalm 106:32–33). The continuing failure of the Israelites to trust God for the everyday necessities of food and water was evidenced again when they became discouraged en route to the land of Moab. This time they were directly critical of God Himself: “And the people spoke against God and against Moses: ‘Why have you brought us up out of Egypt to die in the wilderness? For there is no food and no water, and our soul loathes this worthless bread’” (Numbers 21:5). Once again God had to bring retribution, this time in the form of “fiery serpents” (verse 6). The price for failing to accord God preeminence and respect, choosing pride and self-promotion instead, is clear throughout Numbers, both in the rebellious attitudes among the people and in the failings of the leadership. Between Kadesh and Canaan lay the land of Edom, a territory peopled by the descendants of Esau, the brother of Jacob/Israel. 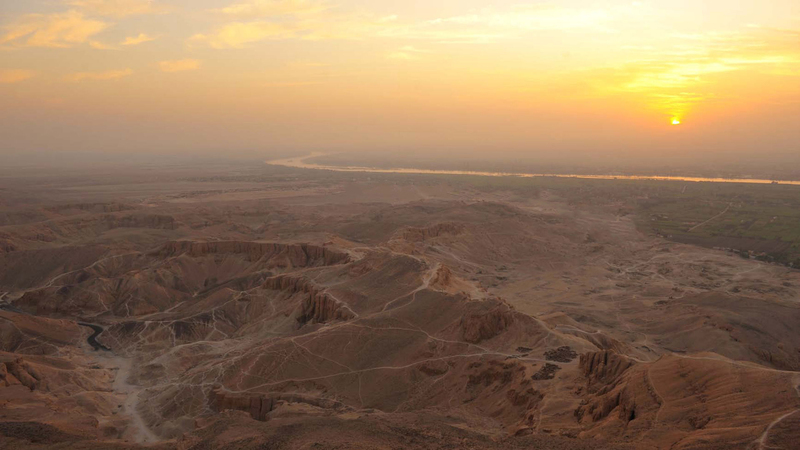 Moses asked permission to cross their land and was refused (20:14–21). This necessitated turning south and then taking a circuitous route around the eastern border of Edom. Along the way the Israelites had to fight against various indigenous peoples and their kings, including the Canaanites under Arad, the Amorites under Sihon, and the Rephaim under Og (21:1–13, 21–24, 33–35). In each case God delivered the Israelites, bringing them to the plains of Moab and the high ground overlooking the Jordan Valley from the east (22:1). They were now poised to begin the final phase of their journey. Next time, preparations for entry into the Land. Baruch A. Levine, The JPS Torah Commentary: Leviticus (1989). Adele Berlin, Marc Zvi Brettler and Michael Fishbane, eds., The Jewish Study Bible (2004). Jacob Milgrom, The JPS Torah Commentary: Numbers (1990).